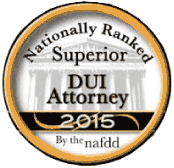 The seriousness of a misdemeanor or felony drug charge in Nebraska cannot be overstated. The ramifications of a conviction for marijuana, meth, heroin, or cocaine can last a lifetime, regardless of the amount seized by police. Minor drug charges can leave a stain upon your criminal record that serves as a red flag for potential employers and financial lenders. The most severe allegations can lead to substantial incarceration and ruinous fines. With so much at stake, elite legal representation is imperative, and that is what you get with Olsen Law Offices, P.C., L.L.O.. As a Former Assistant State Attorney General and Assistant Omaha City Prosecutor, Attorney Tom Olsen knows how to achieve a favorable outcome in your case, regardless of the charges. 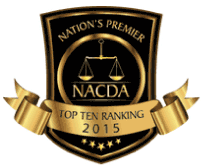 With three decades of trial and negotiation experience, he is Nebraska's premier criminal defense lawyer. Whether you are charged with simple possession, possession with intent to distribute, drug trafficking, or drug manufacturing, you can rely on Attorney Tom Olsen to reach the best possible resolution in your case. His vast experience includes representing clients involved in large I-80 drug busts for hauling legally purchased cannabis from Colorado or other states, including loads in excess of 1,000 pounds. Attorney Olsen is an aggressive advocate for victims of improper police traffic stops, drug dog searches, and illegal search and seizure. If any of these actions occurred during your arrest, he will pursue a dismissal of all charges. If a plea deal is the best option, he will only accept an agreement that is in your best interests and that protects your future. If you are a first-time drug offender, he will seek a second chance through the National Safety Council, Nebraska Diversion Program. The legalization of recreational cannabis in Colorado, Nevada, California, Oregon, and Washington makes Interstate 80 a popular route for transporting marijuana cross-country. Well aware of that fact, law enforcement actively targets rental vehicles and those with out-of-state license plates. If you are a resident of another state arrested for drug crimes in Nebraska, Attorney Tom Olsen will request bond terms which let you return home upon your release. He will then seek a waiver so he can appear on your behalf at the initial plea hearing. His goal is to limit your court appearances until absolutely necessary. This will often occur during the final stage, whether for dismissed charges due to police misconduct or a plea agreement. 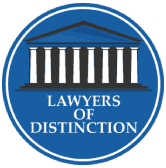 You are not at a greater risk of conviction as an out-of-state resident. Attorney Olsen has successfully defended hundreds of clients from other parts of the country, from coast to coast. 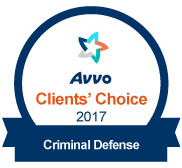 Call the 24/7 Olsen Law Offices, P.C., L.L.O.. at 402-598-5789 for a free consultation so we can begin your defense today. 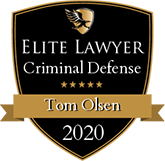 Contact Attorney Tom Olsen, a skilled Buffalo County drug crimes lawyer who is ready to fight for you. We serve clients in Lincoln, Lexington, Lancaster County, Lincoln County, Papillion, Sarpy County, Seward, York, York County, Aurora, Hamilton County, Grand Island, Hall County, Kearney, Lexington, North Platte, and Dawson County.